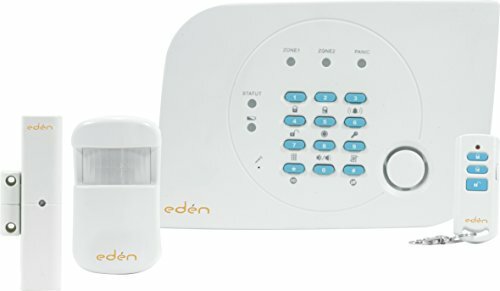 1 HA700 alarm system with telephone transmitter; 1 magnetic door/window sensor; 1 infrared detector; 1 remote control;Alarm noise level: 100 dB;Frequency: 868 MHz. Range in unobstructed environment: 150 to 250 m.;Partial and total arming mode; doorbell and test functions;All of the accessories can be given a unique code. ;Integrated telephone alert transmitter with memory for 4 phone numbers to call in the event of the alarm being triggered;Maximum 30 detectors, 4 remote controls and 1 remote keypad;System powered by 1.5 V LR20 alkaline batteries;Battery life: 2 years. System has low battery warning alarm.